The lovely Francheska walks us through her toolbelt. 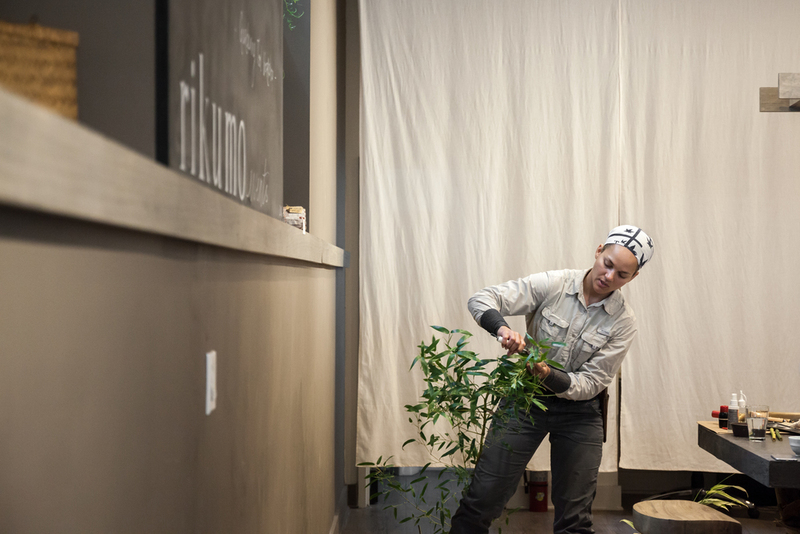 Earlier this month we welcomed Shofuso's Head Gardener Francheska Snyder to our concept store for a workshop on using Japanese gardening tools. Over cups of chilled Kanaya Midori green tea, Francheska led us on a fun talk through her must-have tools, the components of her gardening outfit, and how she got started as a gardener. The class got to see first hand the way Francheska uses tools like hori-hori knives and bamboo brooms, as well as a few tips on taking care of their own gardens. Thanks so much to Francheska and everyone who joined us! Remember to keep an eye on our Store Events page for upcoming workshops and much more.